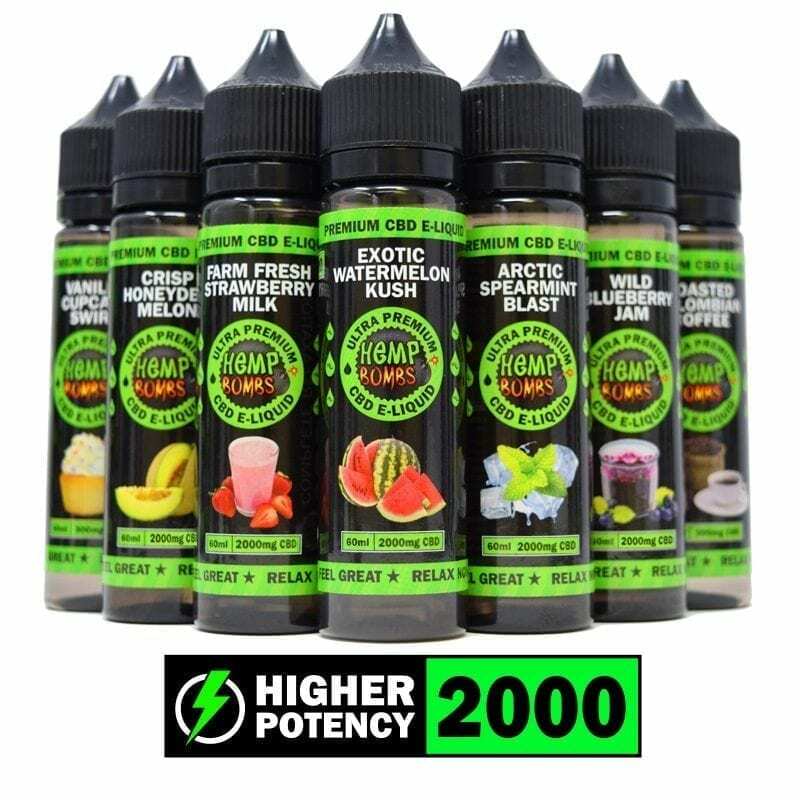 In this article, Hemp Bombs explores CBD E-Liquids and the specifics of VG and PG, or Vegetable Glycerine and Propylene Glycol, the two major ingredients with CBD in Hemp Bombs E Liquids. 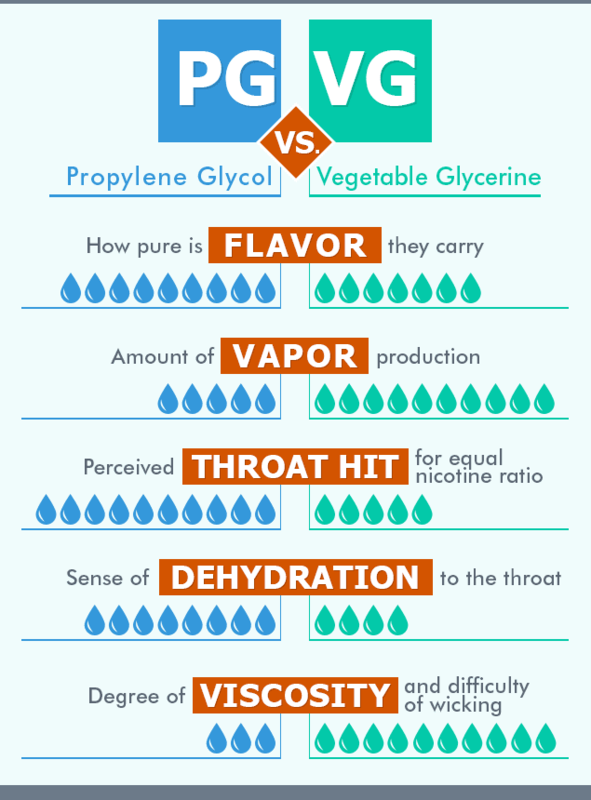 VG and PG are FDA-approved ingredients that help e-liquids hold flavor. E-Liquids will usually favor one or the other, and there are subtle differences between the two. Before we jump into the ratio of VG to PG, let’s look at their individual profiles. PG (Propylene Glycol) is clear and colorless petroleum by-product. With a faint sweet taste, PG is used in food and industrial products and is generally considered safe. PG also produces a ‘throat hit’ similar to the sensation smoking tobacco provides. A natural chemical derived from vegetable oils, VG (Vegetable Glycerin) is often used in e-liquids to give a “thick” sensation to vapor. VG’s thickness makes it more suitable for sub-ohm vaping (cloud production). It is also sweeter and runnier than PG. Commonly, VG is used in cosmetics, food products, and E-Liquids. Because of the differences of VG and PG, they are best used in a blend. The ratio of VG/PG depends on the vaping experience you are looking for - whether it be smoothness, cloud production, or vaping on the low. In this section, we will examine the different ratios of VG/PG blends to help you determine which vaping experience suits you. 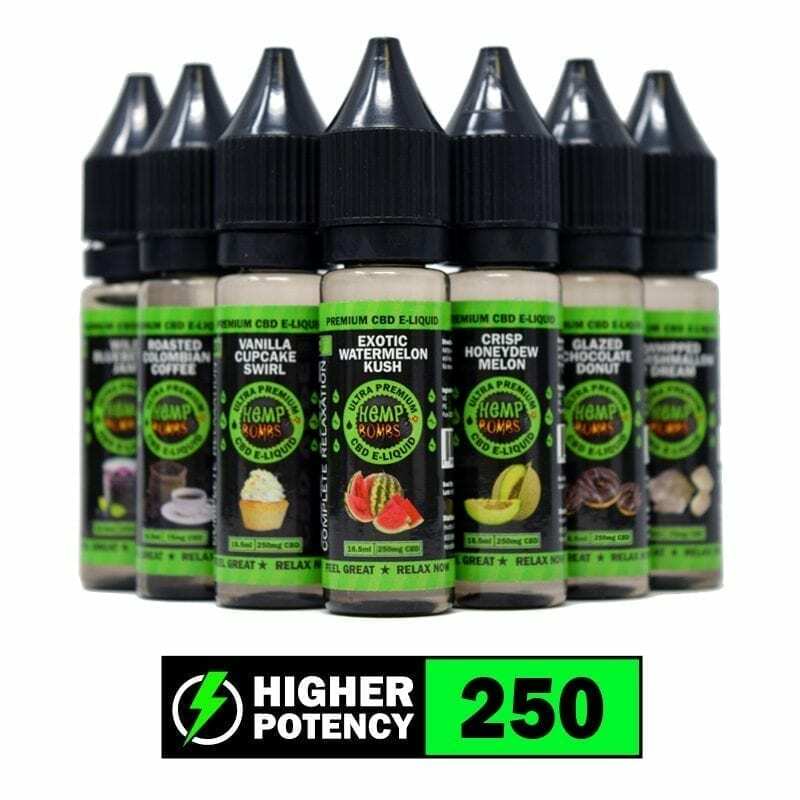 Many smaller vape shops recommend a 50/50 ratio because it allows cheap/synthetic flavors to disintegrate fully because of the less resistant Propylene Glycol. Vape juices with a 50/50 ratio tend to last longer than higher VG iterations, but are lacking in throat hit and overall quality. For devices that range from 20W to 40W, 60/40 is a perfect blend. The throat hit isn’t overbearing. Instead, it’s smooth and viscous enough for coils to reach temperatures of up to 40W. A 60/40 ratio also produces a great vapor concentration and distinguished flavor. This blend is recommended for devices that are powered by coils above the 40W threshold. For these devices, the consistency of the vape liquid keeps it from going through the coil opening as the heat of the tank rises. With this level of VG, the plume of vapor becomes much denser, so it can be a much more rewarding blend visually. Whether it's 50/50, 60/40 or 70/30, knowledge is power when it comes to CBD E-Liquids. 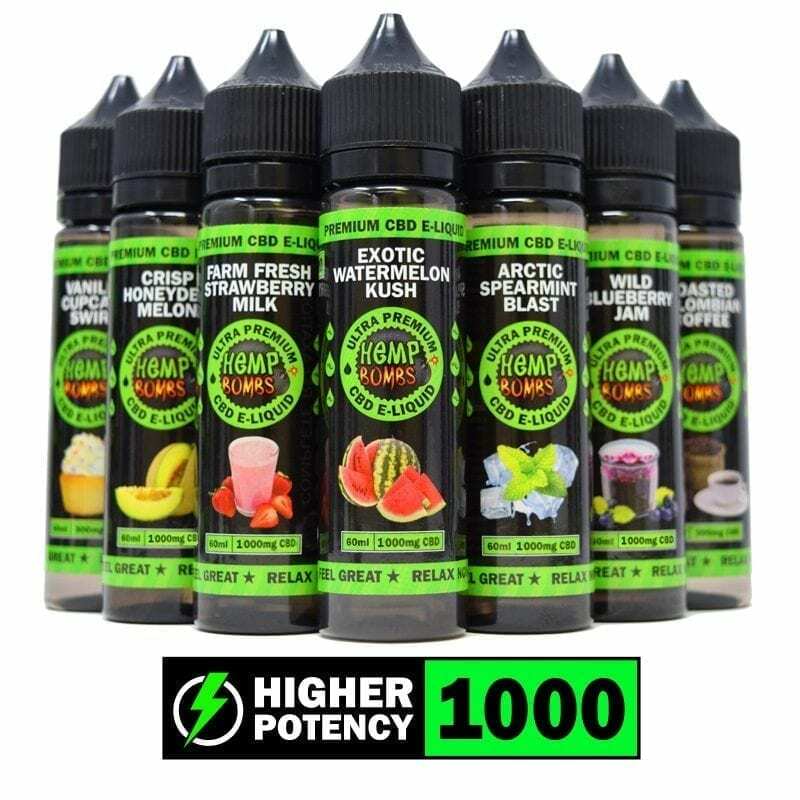 At Hemp Bombs, our CBD E-Liquids, CBD Additives, and CBD Vape Tanks all contain 70/30 VG/PG split for maximum flavor, cloud production, and enjoyment. The contents of our vape products are also verified through third-party lab tests. Knowing what you’re consuming will enhance the quality of your vaping experience. Make sure to check your e-juice labels before buying to confirm the VG/PG ratio. If vape companies are not transparent about the contents in their e-liquids, be cautious. Hemp Bombs offers more than 13 delicious flavors for your enjoyment and health. Can the e-liquid be used in a suorin drop?